Logon’s Candies is a unique custom candy store located off the beaten path in downtown Ontario, California. 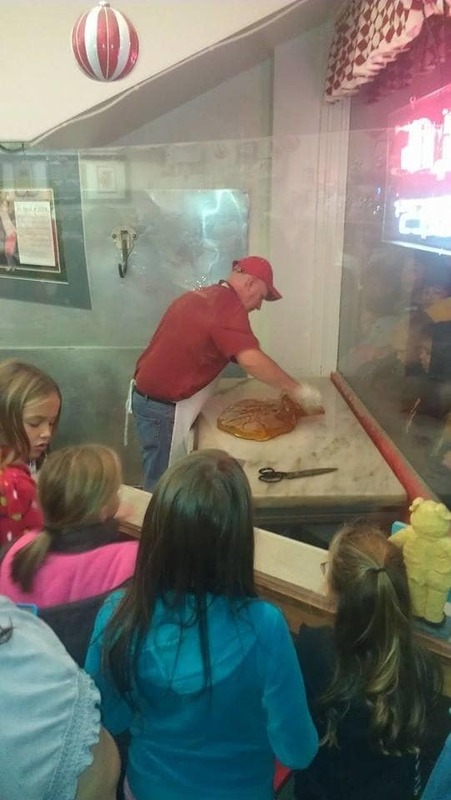 A few years ago, my family and I had the opportunity to visit Logan’s Candies on a field trip to see a live candy cane making demonstration. 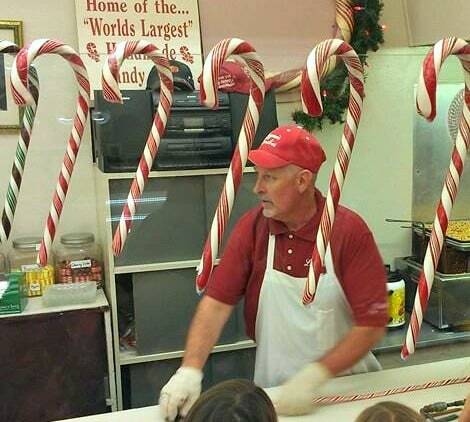 Logan’s Candies has been making signature candy canes and chocolates by hand for over 80 years. It is a home grown business and ran by the same family today. Logan’s Candies makes candy canes year round in all sorts of shapes and flavors. 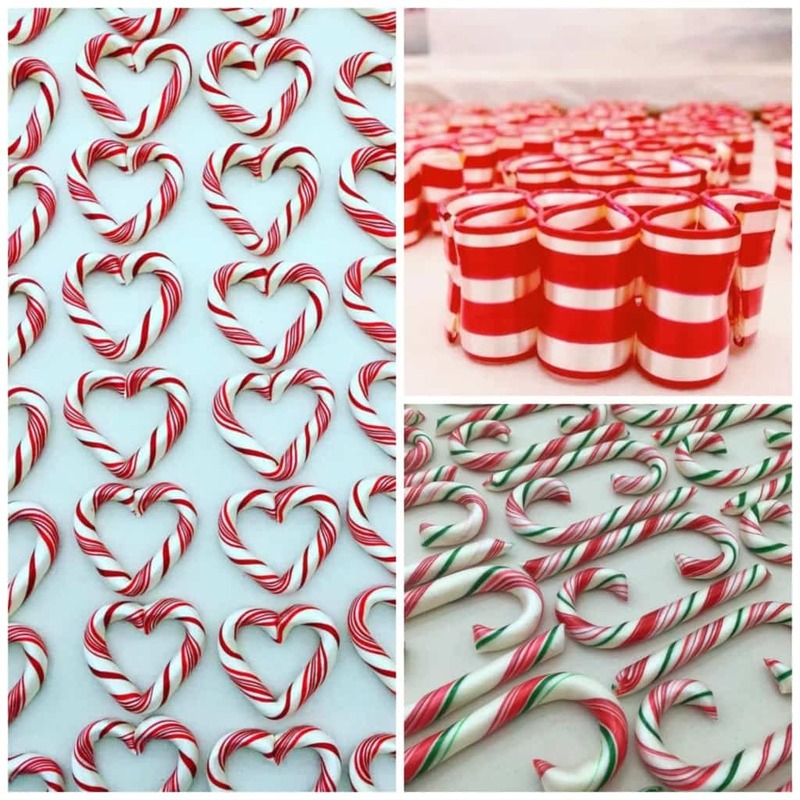 You can even custom order their candy canes for special events such as birthday party, the birth of a new baby or anniversary. 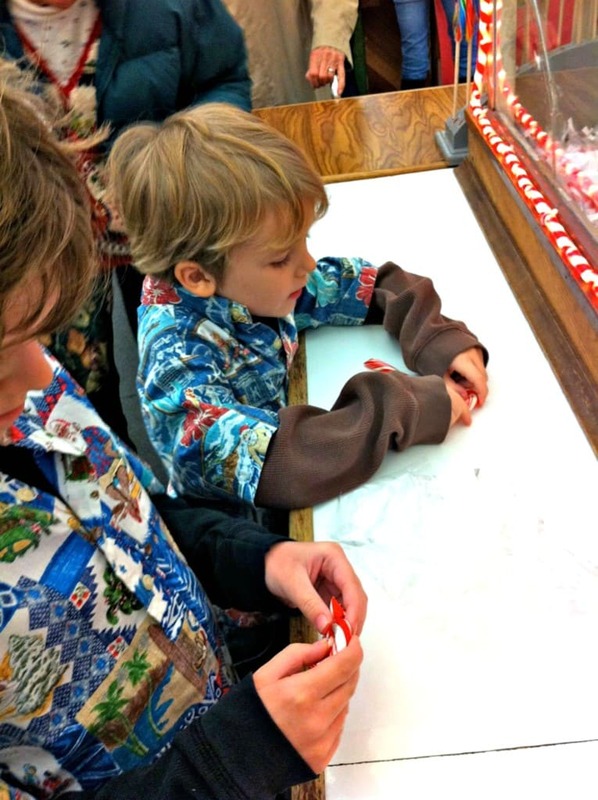 Logan’s Candies candy cane making process is fascinating to watch. Here’s how they do it! First, they melt the ingredients. Next, they put the melted candy on a hook on the wall and pull it over and over again. Then they twist a red candy strip together with a white candy strip. Finally, they cut the strip into small sizes, mold the tip of the candy cane into a hook and package it up. They even share the candies that they make right in front of you. When the candy is first melted and served warm it just melts in your mouth. It is delicious! 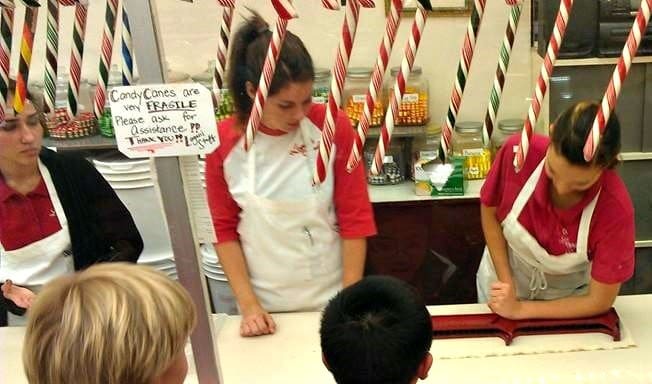 During the holidays, Logan’s Candies Candy Cane Demonstrations sell out fast! So they begin to accept requests for tours starting in August 1 through the mail. a comment to let them know if you have been there before or not. After Logan’s Candies receives your card, your group will be entered into a drawing. Logan’s Candies tries very hard to accommodate all tour requests, but there’s no guarantees. 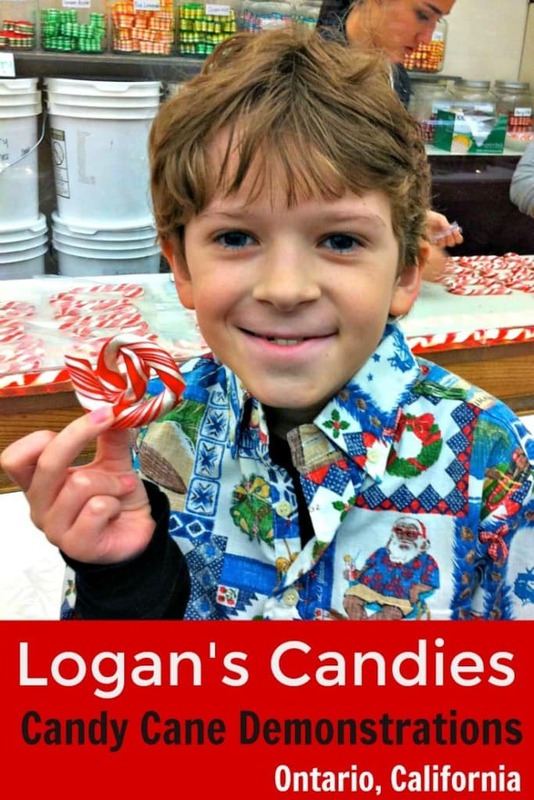 If selected, Logan’s Candies will contact you in early October to set up a reservation. 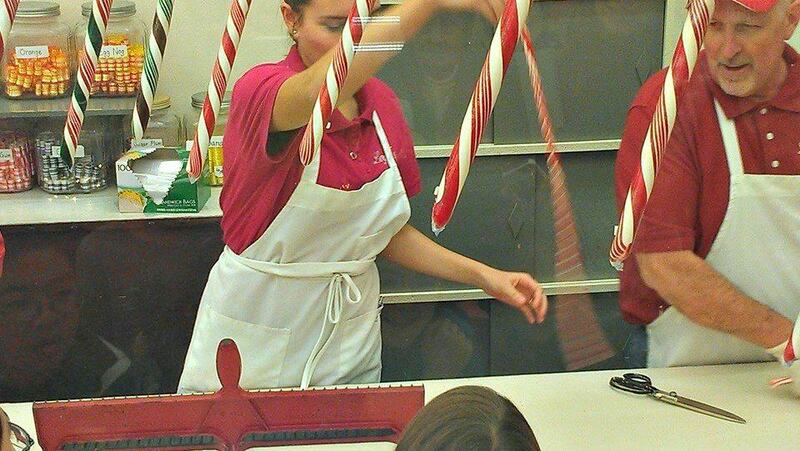 Candy Cane demonstrations take place Monday – Friday at 5:30 pm, 7:00 pm and 8:30 pm. Demonstrations lasts approximately one hour. The cost to attend a demonstration is $6.50 per child and includes a goody bag at the end of the demo. Adults are $1.75 each. Please show up 15-20 minutes prior demonstrations to ensure availability. Public restrooms are not available, so please plan accordingly. While at a demonstration, I also recommend that you purchase some candy canes as presents for your family and friends. 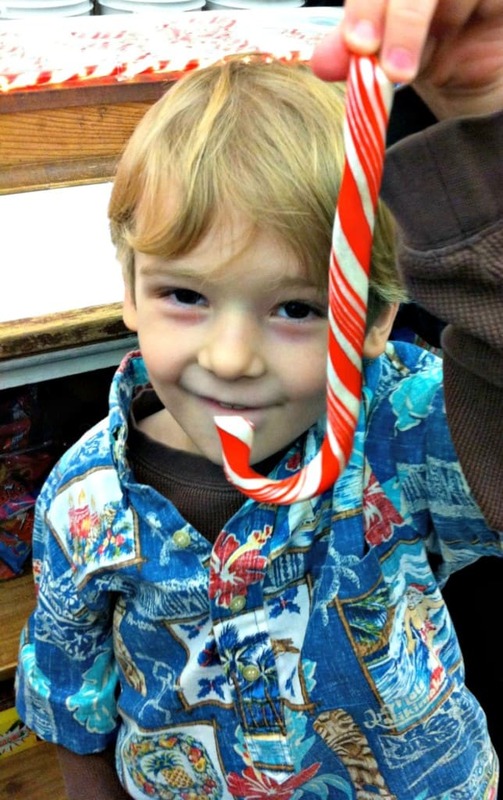 Logan’s candy canes taste so much better than what you buy at the store and range in size from 6″ to 6′ (yup, feet)! 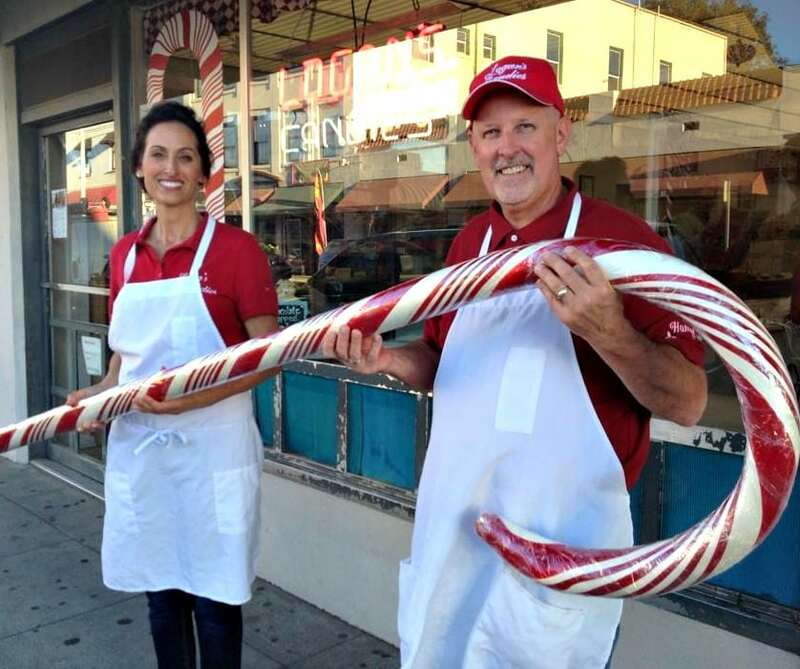 To learn more about how to book a candy cane demonstration, please visit Logan’s Candies.com. I would love to take my son on this trip. What is a good size group? Would 20-25 fit ok? It is a small store, but 20-25 can fit. It might be hard to see all the action, but little kids can go on their parents shoulders. I went before with a group of around 30 and it was tight, but we still enjoyed it. Have fun! I actually just started listening to Christmas music when I write post. Shh!! It’s a secret. 😉 Thanks for visiting the blog. Hi. Do you know ho small a group can be? Will they consider 5 people? Also, do we just mail the 3×5 card or put it in an envelope? The directions on how to submit the card in at the bottom of the post. Regarding group size, I would call and ask. They also host family nights for smaller groups that does not require a reservation, but those dates have not been announced yet.